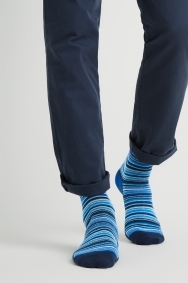 Shake up your sock drawer options by adding multi-coloured stripes into the mix. 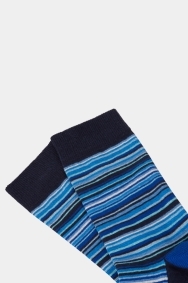 Playful yet restrained, they’re a safe-for-work choice that’ll still let you bring some personality to your outfit. 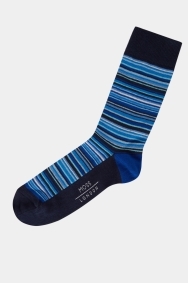 The cotton-rich fabric will allow your feet to breathe.